You can either accept Jesus' substitutionary death on your behalf, or reject it. If you reject it, you will stand alone before God on the day of judgment and give an account of your life. You will fall short of God's standards [Romans 3:23] and will have to pay the penalty yourself [Romans 6:23] by spending eternity in hell [Revelation 20:15], forever separated from God. But if you accept Jesus as your personal savior, God will accept His sacrificial death on your behalf. It's not a choice you can make on that final day - it's a choice you must make today - either to accept Jesus or reject Him. If you sincerely meant what you just prayed, you have received the forgiveness of God and been accepted into His family [Ephesians 1:15]! You are a new believer in Christ Jesus. We are so thrilled that you have made this decision, and we want to be part of helping you get to know God better. There are many simple yet extremely important things you need to know now that you are a believer, and we want to email you some free information that will help you. Please take a moment to let us know of your decision so that we can send you this information right away. We will protect your privacy and will not share your email address or other personal information with others, and you will not be placed on a mailing list. This article was kindly provided by Back to the Bible if you wish to contact them for more information, you can do so here. They would love to hear from you. 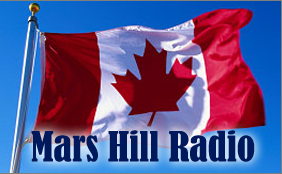 Mars Hill Radio is also happy to help you. If you wish to talk to us about this, please fill in the form below and we'll be back in touch with you soon!